This week made it real … winter is coming. 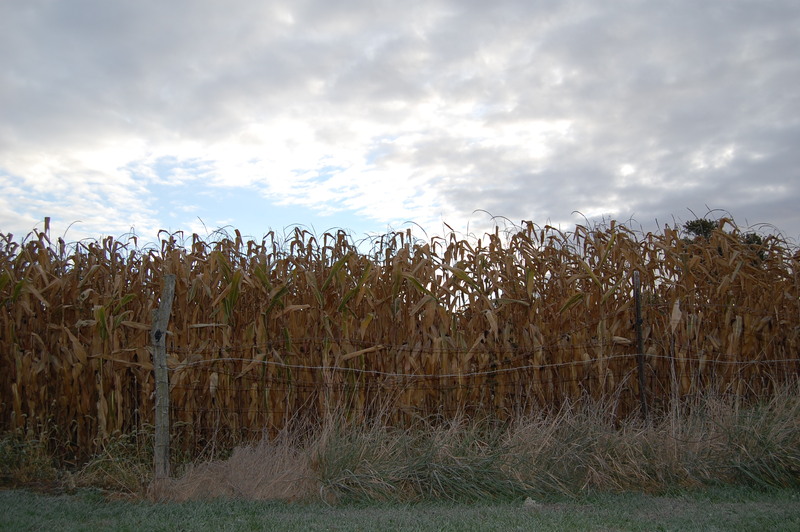 This weekend, I hope you enjoy fall!! 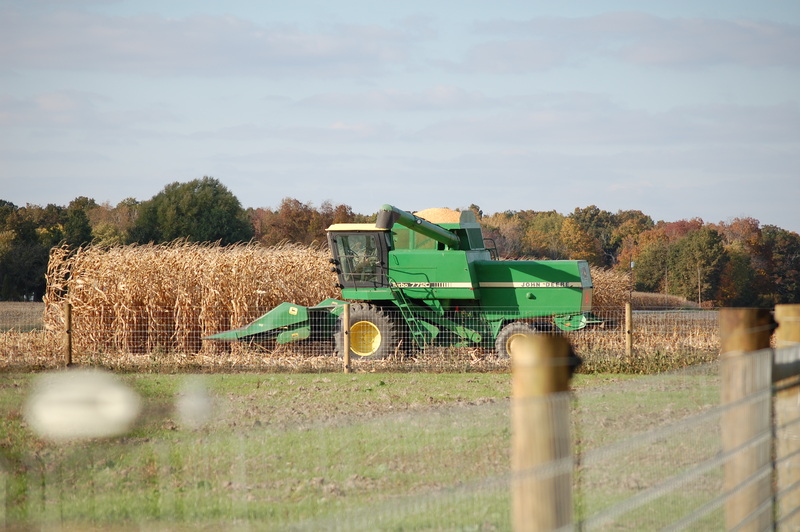 This entry was posted in Country Living and tagged Boer goats, corn fields, Country life, Country photos, fall, frost, harvest, John Deere combine. Bookmark the permalink. I Love the Frost, well, ok, just the picture. I am not ready for those day’s yet. 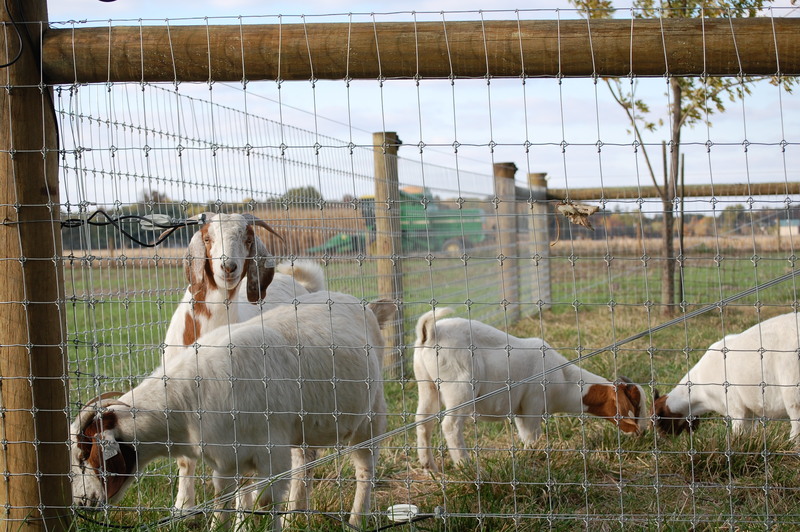 And nice shot of your goat! 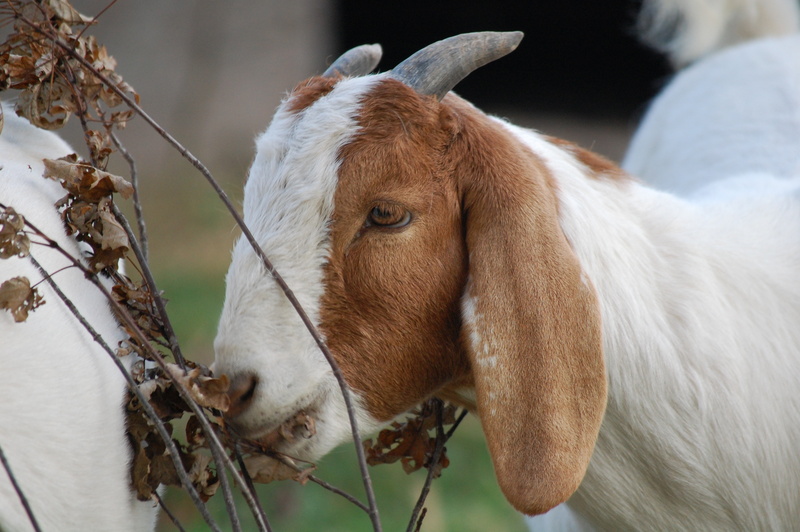 And one other thing, our goats love eating the fallen leaves from the maple tree’s. I couldn’t figure out what that sound was when I was out the other day, and it was them tromping through the leaves and munching away, literally a leaf would fall and they were after it! 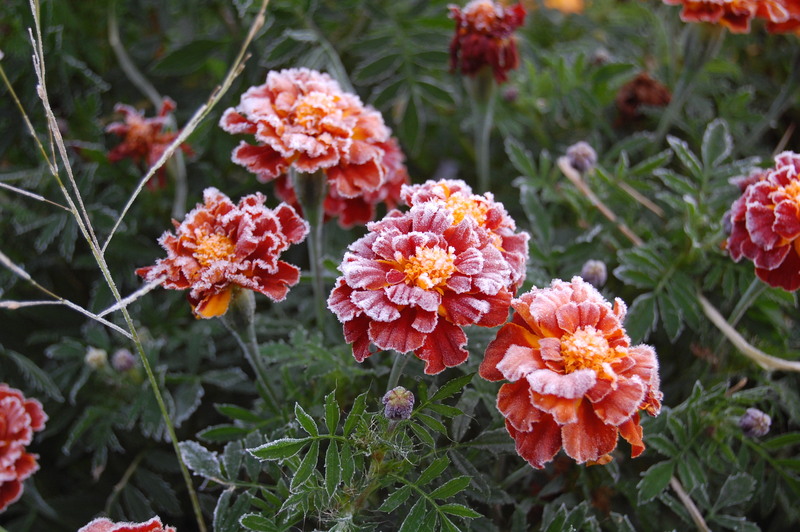 The flowers look pretty with icy frosting. We had an early frost this week, too. It sure changes the view out our windows!